Cute little intra-day rally on Friday as Bernanke was speaking, but it dissolved as quickly as it appeared. Fact is we closed below 5 EMA and 8 MA , but as previous moves in the past 3 months have shown these can be one day wonder fake-outs. 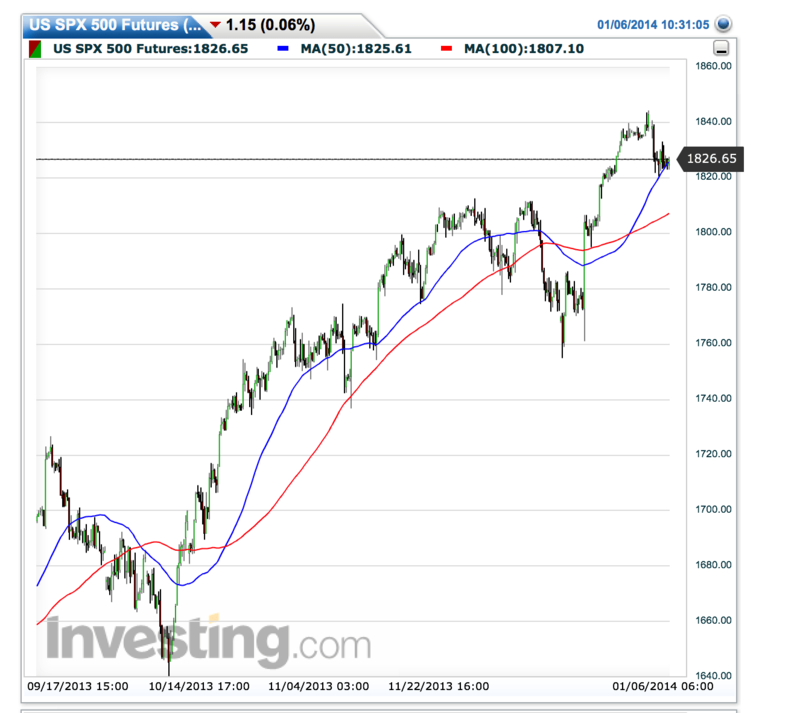 Cleaner support remains the 1810-12 $SPX area and the unfulfilled gap just above in the 1820. Frankly I have 0 interest in buying long until we reach these levels. Remember trading is not about catching every single move, but identifying high entry opportunities and 1810-12 is simply a better set-up than current $ES 1831 in pre-market. A couple of interesting patterns to watch. The $RUT continues to play bear flag with a potential gap fill at 1160. Definitely not a pattern I want to long here, but rather continue to hold future short positions and possibly build put positions near the 1160 area should the gap fill. Since this is really only day 2 of a small decline of highs we need to remain flexible as fund managers come back from holidays this week and volume will pick up. In the broader sense I like this chart of the $IWM on the right I’ve come across which matches my principle view of an $SPX move into the 1810/12 area. Per my post last week I would prefer this move to occur today Monday as it would align with some nice short term oversold readings heading into a sizable POMO tomorrow. But we have to trade the market we have not the one we want. 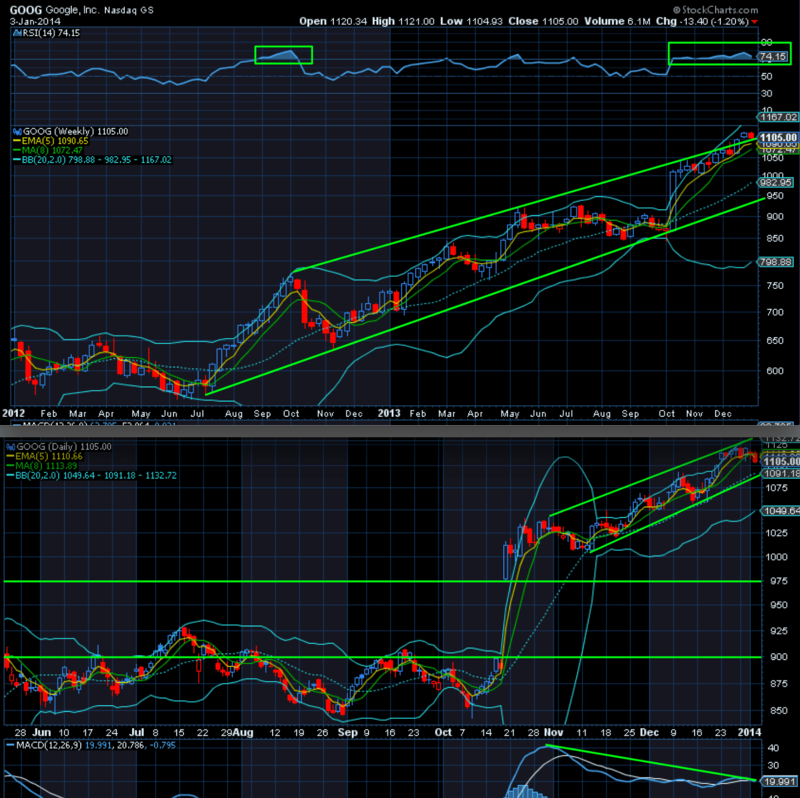 As we are now no longer overbought and not yet really oversold we need to find additional signals to guide us. One of the dynamics I tend to look at is the a 5 hour chart and the interacting 50 and 200 MAs on that time frame. 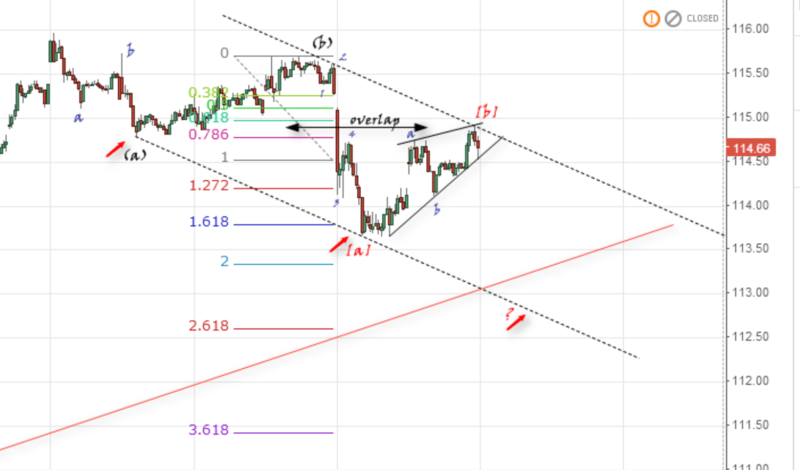 These areas tend to act as pivots and support and resistance as you can see from the chart to the right. Currently the $ES is finding support in the 50MA area which explains its reluctance to follow Asia down overnight. Simply put: Unless that MA is broken the downside will be contained, if it does break then the 200 MA will be the likely next stop which, ironically, matches up to my $SPX target. Again another reason why to expect aggressive buying to occur in that area. For now futures are pre-ramping as I expected per my overnight tweet. The 1834 -1838 area is a potential re-entry area for puts in my book. Time to look at some key individual stocks. Most of these look like great shorting opportunities with some long entry levels as well. $GS has been relentless up in the past few weeks and on cue an upgrade out this morning with the stock at the top of the daily channel. 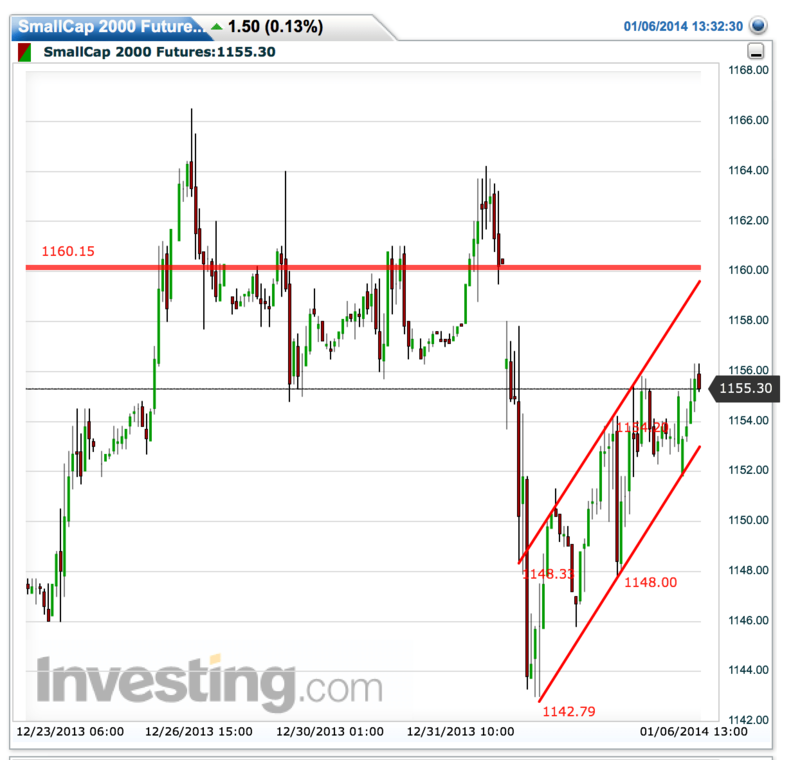 I am looking for a short term pullback into the $174 area but we may hit $180 first. I will add to puts there. 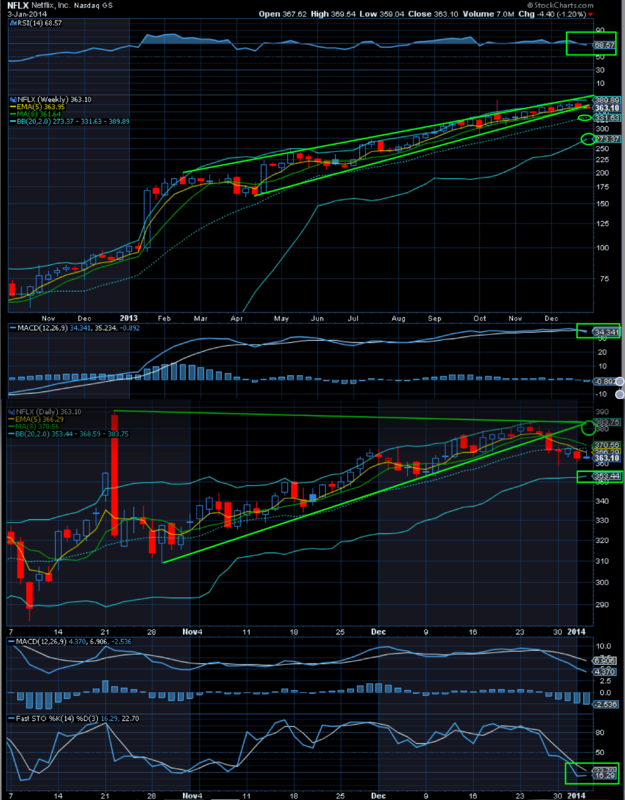 Note the various negative divergences in RSI and MACD. Banks have partially benefited from the rise in rates. Any pushback in rates could reverse banks as well, so I’m keeping on the look-out for corrective action. On a multi year chart $GS looks to have a potential huge inverse pointing toward the $270 area. $FB: What a ride in 2013, yet it looks a bit beaten up here with a bear flag forming a break of which would invite the $52 area which is support and may be good for a long bounce play there. Note the $58 area would be a great area to start a short position with a stop at the previous high. 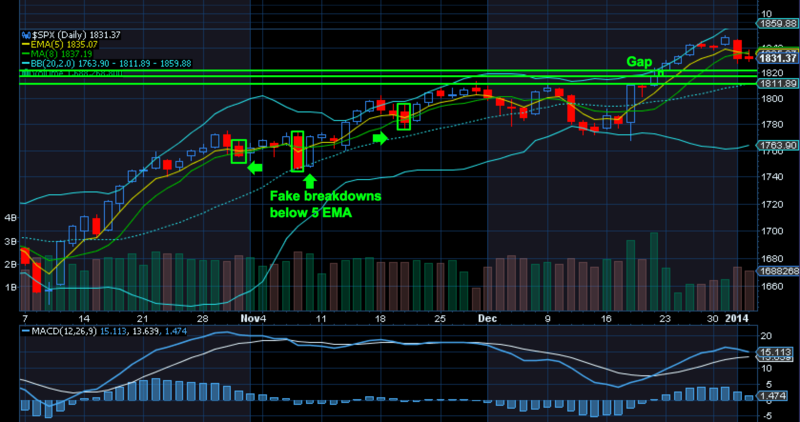 Fact is an ascending channel has been broken and a re-test of that channel will make we want to enter a put position. As $FB is upgraded today we may see the $58 scenario play out first. $GOOG, the king of them all. 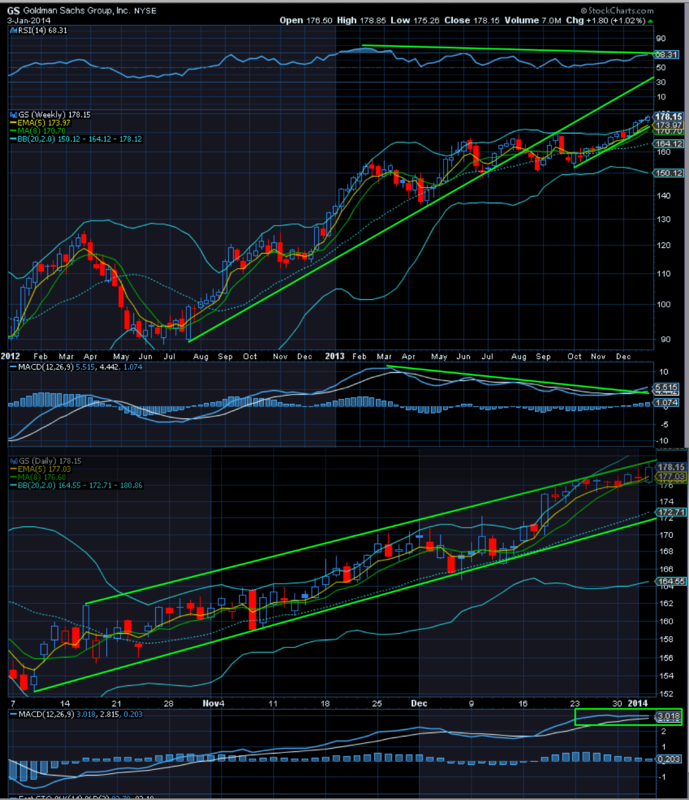 Powerful weekly channel with RSI above 74, highly overbought yet it also broke out of the weekly channel. 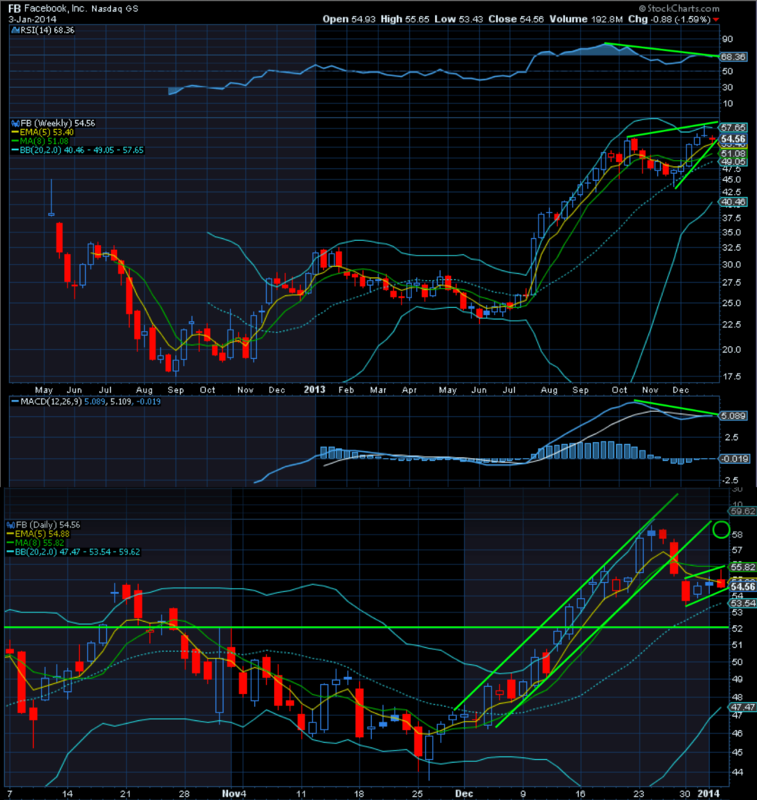 Yet the monster gap below remains with weakening buy pressure. The daily channel offers guidance and a break of the 1091 area would likely invite a move into the lower BB. I’m holding off here for now, but obviously that gap fill would be a tremendous long opportunity, but it may take quite some time to see this gap fill to come to play. And if it were to happen soon then market would be in real trouble. $NFLX: Monster channel that broke down, definitely worth watching here. A re-test of the channel near $380 would be a nice put play, whereas a move to $353 lower BB might be a nice long entry. In between, not really interested. Notice though that the weekly chart points to better long entries in the $331 and $273 areas.